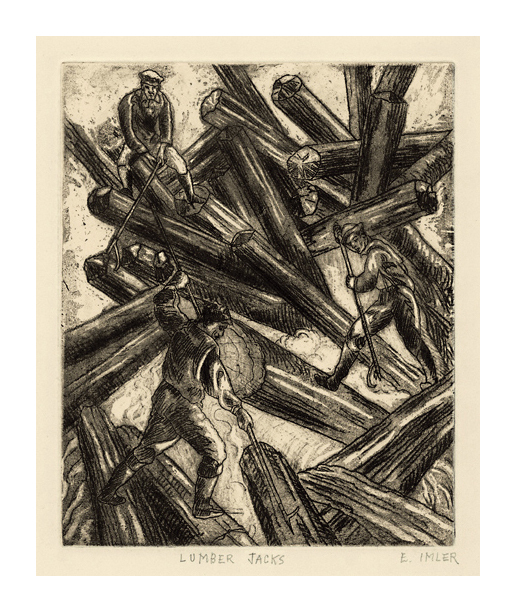 Lumber Jacks - - c. 1937, Etching and Aquatint. Image size 10 x 8 inches (254 x 203 mm); sheet size 13 x 11 inches (330 x 279 mm). A superb impression, with rich burr, on buff wove paper; full margins (1 1/4 to 1 3/4 inches), in excellent condition. Scarce. 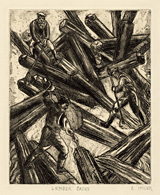 Created for the Federal Art Project, WPA, New York City.